As a WSET Sake Educator, SSI Sake Educator, IWC sake judge and founder of the largest sake fair in Taiwan, Michael Ou is a leader in the mission to educate people about sake outside of Japan. He shares how his efforts were inspired by his own need for education after opening his Japanese restaurant, Hanabi, and tells us why sake is the perfect partner for food. You were the first Taiwanese person certified to teach WSET sake qualifications and to be certified by SSI as a Sakashou (Advanced Master of Japanese Sake and Shochu). What sparked your interest in sake? The first moment I decided to enter the sake world was because I didn’t know how to explain and sell the sakes in my restaurant. After I had completed my studies (including WSET Level 3 Award in Sake), I thought I should share my knowledge with others, as I was so touched by the craft sakes available. From that point I knew I needed to keep on studying to gain more knowledge. Even now, my studies never end. As a WSET Sake Educator and founder of Taiwan’s largest sake fair, why do you think it is important for people to know more about sake? It is important for people to learn about sake because what makes sake so amazing is not just the purity of its flavours, but it is also about the stories behind sakes, the people who make them and the taste of Japanese culture. Through the event, Sakelism, we are able to pass on the word of sake and tell people about these stories. Although increasing the market largely by word of mouth will be a slow process, it is an important place to start. How do you help educate guests at your sake and Japanese tapas restaurant, Hanabi in Taipei? We do a lot of training for our staff at Hanabi. At this stage, we encourage our staff’s recommendations for sake to start with the way they ask guests about their drinking habits. Then they recommend a sake with the hope that the guest will like it. In the future, we hope we can do more around recommending sakes to pair with specific foods. In your experience, do you think sake is growing in popularity outside of Japan? Yes, I think so, lots of breweries are now very aggressively promoting their sake overseas. As Japanese culture and products all have a unique image abroad, people are open and willing to try something from Japan. But to stabilise the market growth, educating consumers outside of Japan will play a significant role. Although increasing the market largely by word of mouth will be a slow process, it is an important place to start. What qualities make sake pair so well with food? Aside from Japanese, what cuisine would you recommend to try with sake? We do lots of sake pairing dinners with French, Italian and Chinese food, as sake’s umami character goes well with fermented foods and the umami base ingredients in these cultures’ dishes, as they all fall in the same categories (cheese, butter, dry tomato, chicken and pork stock). The global trend for consumers to now choose lighter foods for health reasons also sparks the need for something not too complex to complement it, so sake is a good choice. Learn more about Michael Ou and his sake events and endeavours at his website here. 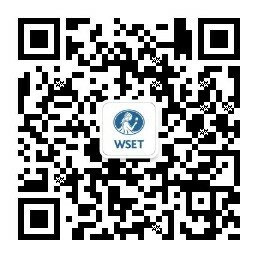 Michael will be leading one of a series of masterclasses that WSET will be hosting at ProWine China this year. Attend a masterclass in Seminar Room 4DA01, Hall W4 or learn more about WSET and meet our advisors at stand 4X15. View full details here.